2Curlyheaded Monsters: My New Art Journal Kit is in the store!!! Pastel Whispers! My New Art Journal Kit is in the store!!! Pastel Whispers! 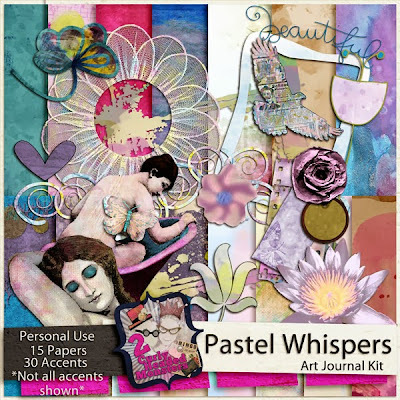 NEW in my store at NutHouse-Scraps﻿ "Pastel Whispers" Art Journal Kit!! Enjoy this lovely soft, sensual watercolor themed art journal kit. This kit contains 15 watercolor papers and 30 elements for your creating delight!